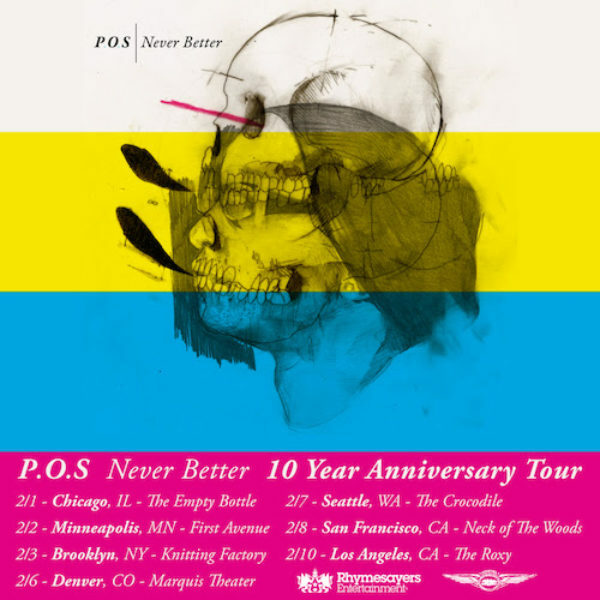 Rapper P.O.S has announced he will be doing a 10 year anniversary tour for his album Never Better, along with a vinyl reissue of the record. The record is set to be released on February 1st 2019, coinciding with the first show of his tour the same night. P.O.S, whose real name is Stefon Alexander, is a rapper from Minnesota who released his first rap album in 2004. Prior to joining the rap scene, Alexander was in a few punk rock bands, an influence that has stuck with him throughout the years. 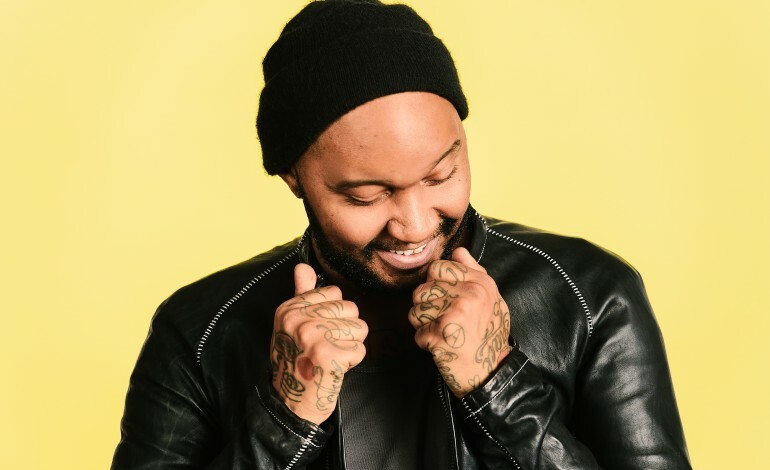 His first album, titled Ipecac Neat, was released by Alexander and the music collective he founded with friends known as Doomtree. Following the success of this record, P.O.S has gone on to release 6 more albums, over the course of the past decade and a half. Alexander’s most recent album was titled 6666 and was released earlier in 2018. The record’s most popular song was the track “Nobody’s Biz,” which featured a dark beat accompanied by P.O.S’ signature intense flow and lyricism. Not the entire album is as menacing as that song, with the title track, “6666,” featuring much brighter production and a less intimidating vocal performance. The songs “Unjinxed” and “Joe Strummr” also feature more futuristic and electronic production than is typical for P.O.S. The album Never Better was released in 2009 and featured some of Alexander’s best music to date. Never Better was one of his most well received projects, gaining support from many popular music critics. The song “Savion Glover” features fast lyrics and quick quips, mainly about the state of politics in 2009. The album’s title track, “Never Better,” also delves into politics and state of American society, which are both common themes in much of P.O.S’ music. Other notable songs from the record include the infectious “Low Light Low Life” and the erratic cut “The Basics.” In total the album clocks in at just under an hour in length and contains 16 songs. The reissue of the album is available for preorder at both Doomtree’s Website and Fifth Element’s website. 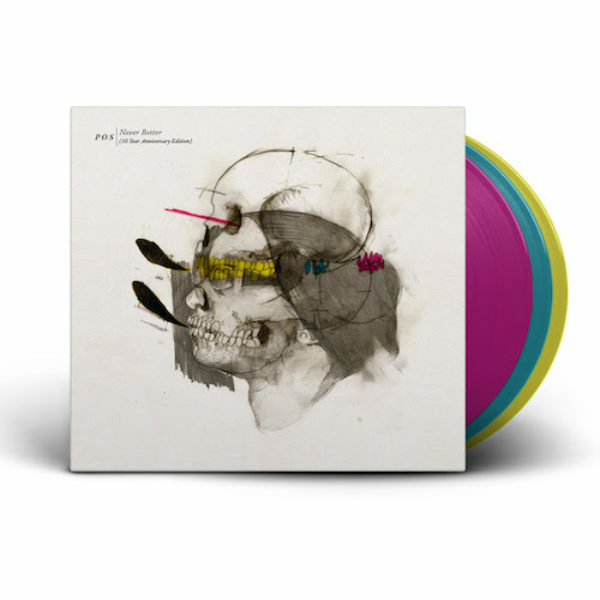 The 10th anniversary edition of the album will include a set of three vinyl records, colored cyan, magenta and yellow, along with a digital download of the album. The reissue will also include 4 bonus tracks, two of which are live performances. Alexander’s tour for the album will consist of 7 shows in February; the full tour dates can be found below.